Traditional conceptualizations of autism might endorse it as a good candidate for “pure” psychopathological categories. This special issue will try to challenge such a view, by offering an update on recent answers, but also by raising many questions for the future study of autism. Such an approach is essential because an optimal “intervention kit” cannot be perfected as long as we don’t know for sure what autism is. This means to clarify the phenomenal aspects as well as the hidden nature of autism. Still, new findings might seem opaque to many professionals, as long as they rely on a traditional view of autism, which might obstruct reality. The costs of such a perspective, however, are to be discovered in the limited efficacy of the interventions in use. We propose there are several assumptions supporting a distorted view of autism, assumptions currently questioned by research and practice, as it will be shown by the papers of this special issue: 1) Autism is a homogenous disorder; 2) The core deficits underlying autistic pathology are clearly defined; 3) The age of onset for autistic pathology is around 36 months; 4) Autism has a clear etiology; 5) Autistic development parallels normal development; 6) Persons with autism are “invisible” as adults. Our human mind needs clear-cut categories, and this is even more applicable when we try to understand psychopathology. Traditional conceptualizations of autism might endorse it as a good candidate for such “pure” categories. This is the reason why, for many professionals, nothing new (and relevant) can be added when describing autistic symptomatology or even when basing interventions upon it. This special issue will try to challenge such a view, offering an update on recent answers, but also raising many questions for the future study of autism. 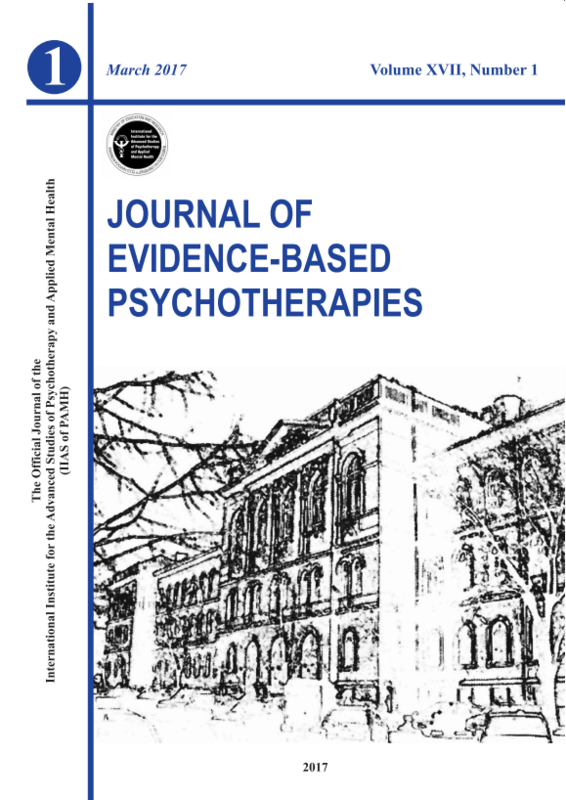 One would naturally expect from an issue of a journal devoted to psychotherapies a set of receipts, designed for optimal intervention and management of autistic people. Yet, such an “intervention kit” cannot be perfected as long as we don’t know for sure what autism is. This means to clarify the phenomenal aspects as well as the hidden nature of autism, and efforts are constantly consumed in this direction. Still, new findings might be opaque for many professionals, as long as they rely on a classical view of autism, which might obstruct reality. The costs of such a perspective, however, are to be found on the limited efficacy of the interventions in use. Autism is neither a pure, nor (maybe because of it) a rare disorder. Prevalence rates range lately from 1/1000 (Dawson et al., 2003) to even 1/166, if we consider the broader autistic spectrum, as suggested by the American Academy of Pediatrics (Autism A.L.A.R.M) in January 2004. Although the risk of overdiagnosis cannot be ruled out, the seriousness of this disturbance asks for a better understanding, overcoming the “myths” that surround autism. We propose there are several assumptions supporting a distorted view of autism, assumptions currently questioned by research and practice, as it will be shown by the papers of this special issue. Autism is a homogenous disorder. This is hardly true, since severity of autism is highly variable, across a severe to mild continuum. If severe autistic symptomatology is characterized by temper tantrums, screaming, aggressive behaviors, lack of verbal abilities, withdrawal and severe sensory dysfunctions, moderate autism encompasses noncompliance, unusual noises produced under stress, running away, echolalic language, approach of the others through observation of their behaviors, and moderate sensory dysfunctions; while less severe profiles involve panic attacks, giggling, fidgeting and muscle tension, verbal abilities, interaction – though awkward – with others and only mild sensory dysfunctions. Not only the baseline symptoms are rather different, but even the outcomes of early interventions are susceptible of variations. For example, 25% of the persons with autism do not acquire any verbal abilities, remaining mute for their entire life (Lord & Paul, 1997). Another dimension of variability is cognitive functioning. Individuals with autism are distributed along a continuum that ranges from mental retardation to superior verbal and non-verbal mental abilities, the subgroup of high functioning autism being lately more extensively acknowledged and studied. A corollary of this regards the distinction between high functioning autism and Asperger syndrome, explored in the first paper of this special issue coming from Uta Frith, a leading figure in the field of autism. Although differential diagnostic criteria are designed to be operational, suggesting the threshold of early linguistic and cognitive proficiency, the real distinction between these two syndromes is far from being easy. That is why in experimental work high functioning autism and Asperger syndrome are often treated as the same entity – see some other papers included in this issue. Finally, one more dimension of variability is development itself. Autism is often considered from a static point of view, forgetting the very fact that it is a developmental disturbance. This means changes in the clinical profile with age, but also potential development of skills across time, or even acquisition of those skills that were absent years before. The core deficits underlying autistic pathology are clearly defined. Over the last decades, there have been several attempts of reuniting the diversity characteristic for autistic symptomatology under the realm of broad-based psychological models. The most important neurocognitive models of autism, anchored in three different nuclear or core deficits, are: executive functions paradigm (assuming faulty skills of maintaining problem solving set, flexible set-shifting and forward planning) (Ozonoff, Penington & Rogers, 1990), central coherence paradigm (proposing basic difficulties of integrating information into coherent, meaningful wholes) (Frith, 1989), and theory of mind paradigm (defining basic deficiencies in social cognition – the awareness and understanding of own and others’ mental states) (Baron-Cohen, Leslie & Frith, 1985). These paradigms, isolated or conjoint (like, for example, in tentative links between executive functions and theory of mind) have been fruitful in guiding research and even practice. Still, along their explanatory value for at least some of the autistic symptoms, these comprehensive theories have their own limitations. Let us consider in some detail the theory of mind paradigm. Our human nature is essentially interpretative, each of us filtering and modulating all information coming from the environment, according to the settings of his/her own cognitive system. Some of these settings are highly individualized, others are common to us all. One of the common mechanisms which acts every time we confront social reality is the one that makes us MENTALIZE (Baron-Cohen, 2000, Frith & Frith, 2003). Due to it, we rely on interpretations of others’ behaviors not only based on the actions and the objects involved, but on the mental states behind such actions – in other words what the agent thinks, believes, wants and so on. Such interpretations are triggered automatically and seem to be irrepressible – therefore sometimes it is hard to manipulate them in psychotherapy. Not only adults are involved in acts of mentalization; children as well, without being explicitly taught, become able to do this. The classical assumption suggests that this big step happens around the age of four and cannot be skipped, unless the child is suffering from autism. But defining the core deficit in autism in terms of theory of mind (TOM), as a body of explicit, rational, conscious, “machiavellian” (Nelson, 1996) knowledge is a highly restrictive conceptualization, amplified by the artificial nature of TOM tasks which cannot pick up “in vivo” abilities of social-cognitive reasoning. This is why, among other reasons, autistic subjects can get sometimes a TOM by explicit training, becoming able to solve tasks in the lab, but still they are unable to use social cognition in daily life situations. On the other hand, the focus on TOM as the emergence of social cognition disregards any continuity from early abilities of interaction and understanding of the social world to this later time point. We would argue that prerequisites of TOM are authentic, even if they are not the equivalent of a mature social cognition. Also, if social cognition does not come suddenly into being, with explicit TOM, it is true that it follows a subsequent development, beyond this “ceiling”. Our proposal sustains the construction of social cognition at the intersection of internal (individual) and external (environmental) constraints, along a temporal axis starting before and developing after the age of 4 (Benga, 2004). Candidate precursors of TOM are explored in several papers of this issue. Petra Warreyn, Herbert Roeyers, Nathalie Peene & Isabel De Groote examine the critical importance of imitation, joint attention and pretend play – abilities already functional in the second year of life – as perspective taking predictors in children with autism, compared to normal controls. A further focus on precursors comes from Jacqueline Nadel, a pioneer and an expert in the field of imitation and communication. Her paper argues not only that imitation is a predictor of social abilities, but also that it can be used to improve such abilities, by enhancing attention to persons, expectations for social contingency, up to an intentional understanding of other individuals. The paper of Cecilie Rondan and Christine Deruelle goes even deeper with such a componential analysis, showing that face processing, for example, is not affected in an all-or-no way in autism, some aspects of configural processing being rather preserved (or developed in time). The age of onset for autistic pathology is around 36 months. Such a limitative diagnostic assumption is still in use and postpones the recognition of autism, delaying or even blocking some potentially successful interventions. The paper of Linda Watson, Elizabeth Lanter, Cara McComish and Vicky Poston Roy offers a different view, arguing with the authority of the clinical specialist on the importance of early enhancement of communicative abilities in toddlers, and suggesting subtle ways of working with them. The pressure for an earlier diagnosis has recently come from a lot of studies, suggesting that early behaviors can announce future pathology. Actually anecdotal parental (retrospective) reports have exposed this for years. Experimental work has started to consider, first, the age of 24 months, when the lack of certain behaviors can announce atypical autistic development. Early screening instruments like CHAT or M-CHAT are currently offered, pediatricians and other professionals being encouraged to use them. Recently, the lower limits of early recognition have been pushed towards the first year of life. Several retrospective studies (e.g. Osterling, Dawson & Munson, 2002) based on video recordings have compared children with autism and normal controls or children with mental retardation, showing that by the age of 12 months autism is announced by several behaviors: infants look less frequently to persons, respond less when called by their own names, are less interested in objects manipulated by the others and display more repetitive behaviors. In a first prospective study, Zwaigenbaum et al. (in press) confirm such conclusions, reporting data on 65 high risk infants with an older sibling with autism. Along the behavioral markers already listed, these authors mention a prolonged latency to disengage visual attention, as well as a characteristic pattern of early temperament along the first year of life, with marked passivity and decreased activity level at 6 months, followed by extreme distress reactions, a tendency to fixate on particular objects in the environment, and decreased expression of positive affect by 12 months. One more thing to add is their proposal of a standardized instrument for behavioral measurements- Autism Observation Scale for Infants (AOSI). However, this lower age of onset, which brings back the riddle of precursors, opens another question: given the wide spectrum of autistic symptomatology, which would be the best early markers? A definite answer still has to be found, as we are reminded by the paper of Warreyn and her colleagues (this issue). Autism has a clear etiology. Although it is now accepted that autism has not social, but biological (genetic and neural) causes, the mechanisms underlying it are far from being understood. Actually, even the genetic versus environmental debate might be reopened, since recent work draws attention on autistic-like behaviors (deficits in social interactions and increased self-directed behaviors) as a consequence of pathogenic rearing experiences (Winslow, in press). However, such findings are puzzling only for those who don’t acknowledge the plasticity of behavioral as well as neural development. Even when restricting the discussion to potential neural structures affected in autism, there are still lots of questions. In a review of research concerning genetic and neurodevelopmental influences in autistic disorder along the last 2 decades, Nicolson & Szatmari (2003) suggest as consistent findings: the exaggerated brain volume at least in children under 12 years (and with some inconsistencies in adults), favoring the hypothesis of accelerated brain growth early in development, and a reduction in corpus callosum size, supporting potential problems of connectivity or an aberrant lateralisation of functions. Other authors suggest autism is characterized by reduced functional connectivity (e.g., Frith, 2004) in spite of, or maybe due to excessive anatomical connectivity. The larger brain size would thus be a consequence of excessive connections and deficitary pruning. In terms of connections, one more characteristic in autism might be the fact that not feedforward but only feedback connections are abnormal – those that modulate the activity of feedforward circuitry and are involved in top-down processes, like selective attention. The abnormal brain development has been sustained by several findings. For example, Courchesne et al. (2001) show an aberrant trajectory of white matter in autism, 2-3 years olds having increased, whereas adolescent and adult subjects, having reduced cerebellar white matter volume. The disruption of white matter in autism is supported by data obtained with diffusion tensor imaging (Barnea-Goraly et al., 2004), confirming changes in the corpus callosum, but also in the white matter adjacent to those regions thought to be implicated in social cognition: fusiform gyrus and superior temporal sulcus, anterior cingulate cortex, amygdala, ventromedial prefrontal cortex, as well as in the connections between extrastriate and temporo-parietal regions. A quite striking parallel has been noticed in cortical folding of the frontal areas. Hardan et al. (in press) show that left frontal cortical folding is increased in children and adolescents but decreased bilaterally in adults with autism, compared to controls. This result is consistent with anomalies of minicolumn structure in the superior and middle frontal gyri, indicating that cell columns in the brains of autistic patients are more numerous and dispersed. The hypothesis is thus of a dysfunction of the frontal circuitry due to neuronal migration. All these data sustain the developmental polymorphism of autistic spectrum disorders not only in terms of their behavioral and cognitive profiles, but also of the neural correlates accompanying them. Autistic development parallels normal development. Even when acknowledging the developmental trajectory of autism, there is still the temptation of making inferences based on normal development. Yet such inferences are rather tricky, since, for example, precursors of theory of mind in the case of normal children are not necessarily predicting its development in autistic children (see the paper of Warreyn and her colleagues, this issue). The whole trajectory of an atypically developing person might be deviated, so even if the same behaviors are reached at the same time points in development, it is not necessary that the same pathways connect them. Actually, as pointed out by Herbert (2003), atypical development might take several forms: delayed development, with some higher order normal abilities maybe never being reached, abnormal development, when displaying behaviors that are not present in normal development, compensatory development, when the outcomes are the same although the routes to them were different, absent development, if the normative behaviors are lacking, and finally typical development, for some components of the atypical profile. These various types can be seen across individuals or even in the evolution of one single person. The diversity of atypicality is even more obvious when considering other kinds of pathology along with the autistic one, like in the paper of Tomas Tjus, Mikael Heimann and Keith Nelson. They show how subtle differences still may become evident, even when judging the outcomes of an intervention shown to be efficient five distinct types of child pathology in study. Persons with autism are “invisible” as adults. We are used to assign autism to child psychopathology, as if the life span of an autistic person would scarcely go beyond adolescence. This is the reason why services for older people with autism are hardly present in many places. The focus on early intervention has done a lot for improving the lives of people with autism. Yet these persons continue to grow and develop into adulthood, having growing and changing needs, some resulting from the struggle to adjust to their own condition. Patricia Howlin, a well-known specialist in interventions for autism, reminds us that adults suffering from autism not only continue to live, but are confronted with new problems coming online, like adaptation problems, and in some cases adjacent clinical problems, like anxiety or depression. The outcome of such adult problems critically depends on the appropriate support of the others. Barnea-Goraly, N., Kwon, H., Menon, V., Eliez, S., Lotspeich, L., Reiss, A.L. (2004). White matter structure in autism: preliminary evidence from diffusion tensor imaging. Biological Psychiatry, 55, 323-326. Baron-Cohen, S., Leslie, A.M., Frith, U. (1985). Does the autistic child have a “theory of mind”? Cognition, 21, 37-46. Baron-Cohen, S. (2000). Theory of mind and autism: A fifteen year review. In Baron-Cohen, S., Tager-Flusberg, H., Cohen, D.J. (Eds), Understanding other minds (pp. 3-21). Oxford University Press Inc., New York. Benga, O. (2004). Social cognition and executive functions – a constructivist approach. Proceedings of the ESPP-SPP Joint Conference. July 2004, Barcelona, Spain. Courchesne, E., Karns, C.M., Davis, H.R., Carper, R.A., Tigue, Z.D., Chisum, H.J., Moses, P., Pierce, K., Lord, C., Lincoln, A.J., Pizzo, S., Schreibman, L., Haas, R.H., Akshoomoff, N.A., Courchesne, R.Y. (2001). Unusual brain growth patterns in early life in patients with autistic disorder: an MRI study. Neurology, 57, 245-254. Dawson,G., Webb, S., Schellenberg, G.D., Dager, S., Friedman, S., Aylward, E., Richards, T. (2003). Defining the broader phenotype of autism: Genetic, brain, and behavioral perspectives. Development and Psychopathology, 14, 581-611. Frith, C. (2003). Is autism a disconnection disorder? The Lancet, 3, 577. Frith, U. (1989). Autism: explaining the enigma. London, Blackwell. Frith, U., Frith, D.C. (2003). Development and neurophysiology of mentalizing. Philosophical Transactions of The Royal Society,29, 358(1431), 459-473. Hardan, A.Y., Jou, R. J., Keshavan, M.S., Varma, R., Minshew, N. J. (in press). Increased frontal cortical folding in autism: A preliminary MRI study. Psychiatry Research: Neuroimaging. Herbert, M. (2003). Typical and atypical development. From conception to adolescence. BPS Blackwell, Oxford. Lord, C., Paul, R. (1997). Language and communication in autism. In D.J. Cohen & F.R.Volkmar (Eds. ), Handbook of autism and pervasive developmental disorders. 2nd ed. New York, Wiley. Nelson, K. (1996). Language in cognitive development: The emergence of the mediated mind. Cambridge University Press, New York. Nicolson, R., Szatmari, P. (2003). Genetic and neurodevelopmental influences in autistic disorder. Canadian Journal of Psychiatry, 48, 526-537. Ozonoff, S., Pennington, B., Rogers, S. (1990). Executive function deficits in high functioning autistic individuals: Relationship to theory of mind. Journal of Child Psychology and Psychiatry ,32, 1081-1105. Winslow, J.T. (in press). Neuropeptides and non-human primate social deficits associated with pathogenic rearing experiences. International Journal of Developmental Neuroscience. Zwaigenbaum, L., Bryson, S., Rogers, T., Roberts, W., Brian, J., Szatmari, P. (in press). Behavioral manifestations of autism in the first year of life. International Journal of Developmental Neuroscience.